If you want to attract more customers, make more sales and build your reputation, you need a business blog. “Easier said than done” I hear you reply. And it’s true. As a business owner you’re already juggling a stack of work. As a result, you’re probably more than a little reluctant to take on something else that will put pressure on your tight schedule. 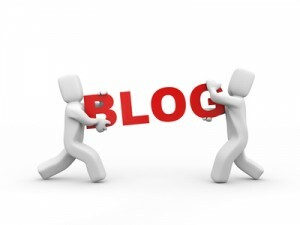 Your blog can turn into a highly efficient and cost-effective marketing tool. Lots of quality, fresh content is highly valued by Google and can help drive organic traffic to your site. Customers buying habits have changed. They are more likely to research before they buy or even enquire, and a blog can help you get noticed amongst the noise. Blogs help demonstrate your authority and expertise – and we all want to work with people who know their stuff. Through a blog you can talk to customers without trying to sell to them. Use your blog to reveal your personality and allow potential clients to know, like and trust you. Allow your blogs to deepen website visitors experience of your business. But despite all this good stuff, starting up and developing a blog is hard work. Here’s what you need. Time to create your strategy. You need to be clear what you want your blog to achieve and the direction you’ll take readers. Time to create research. Your blog needs to be topical. It must talk to your target market. It must be relevant. Time to write. You’ll need to schedule in regular writing time to create your posts. Time to promote: You need to network, work social media and generally make people aware of your blog. Time to respond. If someone comments, you’ll need to engage. Blogging is a 2-way process. And in addition to all this you need to be able to write good content. In fact, you need to employ a lot of the conventions of copywriting to help you make an impression on your audience. If you want to benefit from your business blog, you need to talk about the right stuff. To stand out from the competition you need to reward your readers with information, knowledge and ideas that tackle their pinch points and offer real solutions to the challenges they are facing. And you need to back this up with planning, patience and persistence. If you lack the time, are not keen on writing but would still like to benefit from a blog, consider hiring a ghost writer. This may feel like a big step to take. After all, as a business owner you feel very close to your business. It’s your baby. In fact, for many people it’s an extension of yourself. You’ve invested a lot of time, love and other stuff into it and it’s very hard to allow someone else in. If you want to grow your business, you need to take stock of what you can and can’t do. And by outsourcing work that lies outside your core skill-set to another professional, your business could benefit. Outsourcing your blogging works really well if you find the right blogger to work with. Your blog will form part of your business reputation and your brand so avoid the temptation to pay bargain basement prices or by the word. You see a blog is more than a word count. It’s a series of ideas and thoughts constructed together in such a way that it takes a reader on a journey that you have crafted. You want to leave the reader with a certain thought, invite them to take a particular action or build a relationship with them. And you can only achieve this through your blog if you have a predetermined strategy – and if your blogger gets you and your business. A good ghost blogger will of course be a skilled writer. But you need to look for more than that. They need exceptional listening skills. They need to tune into you and your audience. And you need to like them – after all you’re going to spend a lot of time talking and working together. Whoever you chose, you need to feel totally confident that you can stand behind the words that they write on your behalf. Get involved in editorial meetings and contribute to the editorial calendar. Read each post before it’s published – even makes tweaks if you like. Read and respond to comments – it’s a great way to build relationships with your audience. Get involved with blog promotion and initiate relevant discussions on your social media channels. And it’s up to you to decide if you’d like to tell people that someone else is writing the posts for you. Outsourcing your blogging is a simple way to free up your time and add more value to your business. But what do you think? How could you business benefit from a professional ghost writer? What stops you outsourcing this important writing work? Please tell me in the comments below. And if you’d like to chat with me about ghost blogging for your business, drop me an email to georgina@gemwriting.co.uk.